Former Ohio Republican Gov. John Kasich, a potential 2020 opponent for President Donald Trump, has a pitch for Republicans: back global warming policies that are favored by Democrats. “This is like a call to arms. Let’s have conservatives have a discussion instead of being in denial that this is a problem. 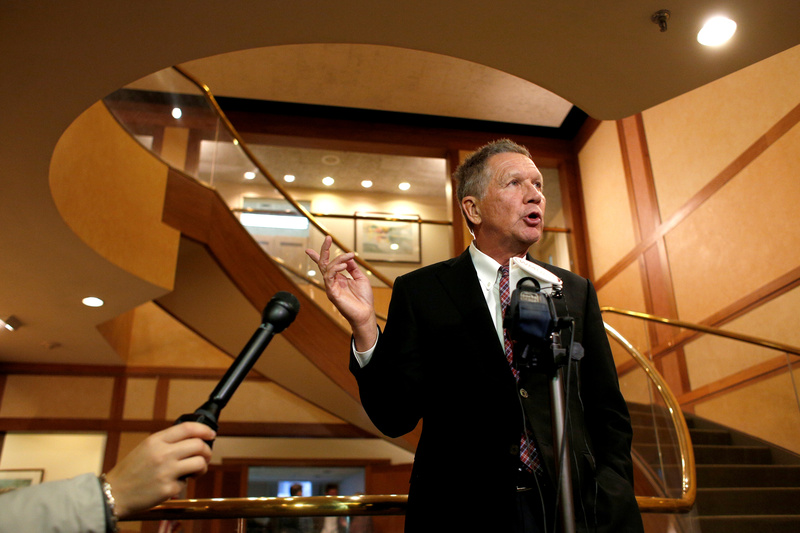 You can’t just be a science denier,” Kasich told Axios in an interview released Tuesday. Kasich will use his speech to lay out what he calls “centrist” policies aimed at global warming, including pricing carbon dioxide emissions — possibly through “cap-and-trade,” which failed to pass Congress roughly a decade ago. Since then, opposition against pricing carbon among Republicans seems to have hardened. House Republicans overwhelmingly voted in 2018 for a resolution opposed to carbon taxes, though a handful of GOP lawmakers do support such policies. Ohio Governor and former presidential candidate John Kasich speaks to the press in Concord, New Hampshire, U.S., November 15, 2018. REUTERS/Elizabeth Frantz. Congress is debating extending electric vehicle subsidies as some automakers, including General Motors and Tesla, produce enough cars to trigger a phase-out of buyer tax credits. Purchasing a Tesla prior to 2019 qualified buyers for a $7,500 tax credit. Tesla buyers can get a $3,750 tax credit if they buy their car through June, and an $1,875 tax credit if they buy a Tesla through the end of the year. Kasich, however, did come out against the Green New Deal resolution, which is supported by many Democratic 2020 hopefuls. “But it’s not enough to say you don’t like that and not have something you can be for,” Kasich told Axios. Kasich didn’t say if he would run in 2020, but did hint at another effort he has in the works, according to Axios. “I’m in the process of trying to put together a group of people who can bring new and exciting ideas for the conservative movement,” Kasich said.